A Scottsdale roofing contractor known for it’s name Triangle Roofing Company. We understand that hiring a Scottsdale roofing contractor is your most important investment. It’s where your roofing contractor provides your protection from the weather. More so. This includes making sure you have a sound roof over your heads. 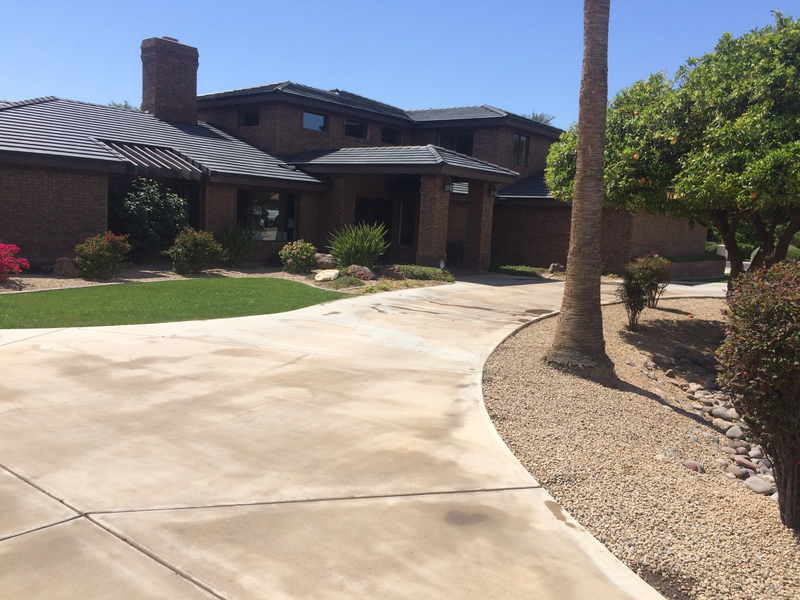 Homeowners and business for over 25 years have been trusting this Scottsdale roofing contractor. More so we have been in the roofing industry consulting other Scottsdale roofing contractors. 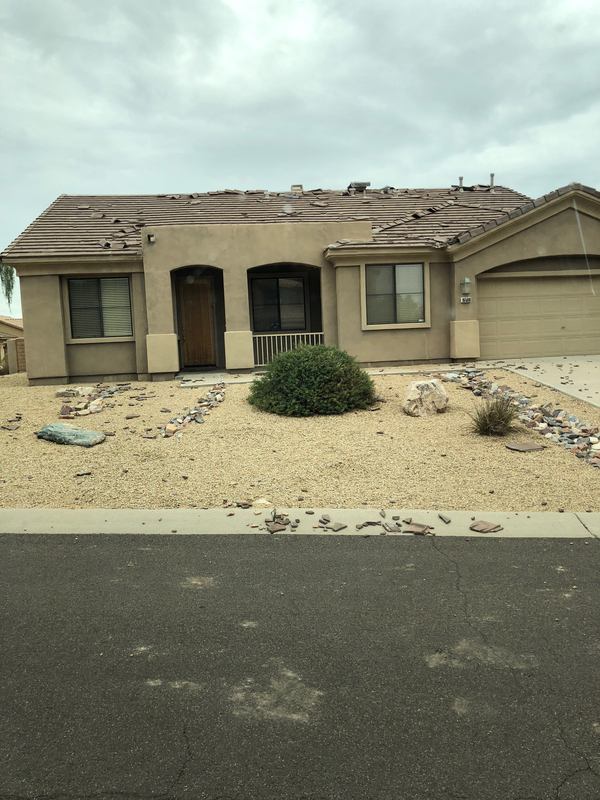 Check out this recent Monsoon storm damage in Scottsdale along the Shea corridor. Equipped with what you need to make the most reliable decision for your Scottsdale roofing contractor needs. At Triangle Roofing Company we specialize in consulting our clients with options. Furthermore sound advice based on decades in the industry. Whether you have a flat roof, sloped roof or home extensions, we can help. Estimates are free of charge, so call us today to schedule an appointment with one of our expert consultants. This Scottsdale roofing contractor always check for recent Monsoon storm damage. Triangle Roofing Company was established by Eric Anderson in 1993. Triangle Roofing Company began by primarily doing residential roofs and quickly gained popularity and a good reputation for being an honest and trustworthy Scottsdale roofing contractor. Hence, hard work, dedication, and perseverance boosted Triangle Roofing Company to the forefront as one of the oldest and largest roofing contractors in Scottsdale. Today Triangle Roofing Company has expanded from residential roofing to commercial, state, city and federal projects as well. Also, Triangle Roofing Company has over 25 years of experience as a Scottsdale Arizona roofing contractor. Our mission is focused around our customers by offering the best services, products and prices. 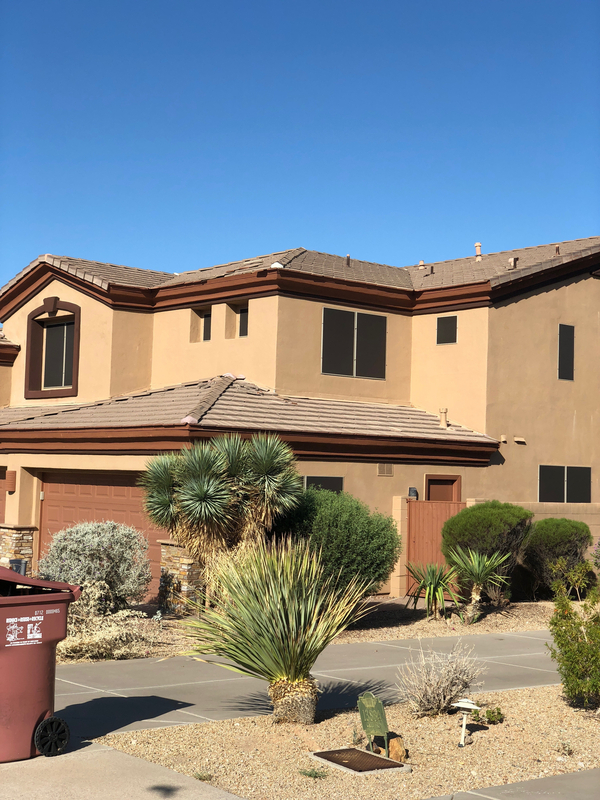 Our long history in the business shows that we only employ highly trained professionals and use the highest quality materials for every Scottsdale Arizona roofing contractor job. Furthermore, we provide perfect roofing solutions for commercial and residential properties all over Scottsdale. We are the top choice for businesses around because of our timely work and fair prices. The signature cool roof technology we offer is ideal for Scottsdale’s climate and our roof repairs save you money in the long term. Our work is fully functional, watertight and environmentally friendly. Read our customer testimonials from satisfied property owners! But in the end this Scottsdale roofing contractor always cleans up. As a local Scottsdale roofing contractor we are dedicated in keeping Scottsdale green by creating cool solutions for homes and offices. Rest assured when you choose Triangle Roofing Company because we are fully insured with an A rating with the Better Business Bureau and have a State of Arizona Roofing Contractor License (#219242). Let us take care of your roofing needs whether it’s for a residential or commercial property, we have something for everyone and offer warranties on installations and repairs! Our team of skilled professionals is always searching for new innovative ways to keep Scottsdale, AZ green through the use of our sustainable energy roofing systems. We also encourage homeowners and property managers to ask us about our Preventive Roof Maintenance Packages. We’ll do a full inspection, including a report, to give a full picture of your roof’s current status.